In recent months, we have seen an ever-growing interest on the part of large companies within and beyond the IT and financial industries in advancing Blockchain-based products and services. For example, Microsoft and IBM are actively investing in Blockchain development and providing cloud infrastructure (i.e., Azure and Bluemix) for testing and establishing Blockchain solutions. Some large companies, such as Intel and Cisco, are planning to use Blockchain to manage financial instruments, organize supply chains, and monitor the data coming from various sensors. In late 2016, Deloitte commissioned and conducted a comprehensive survey, and revealed that Blockchain is a key business focus for many companies from a variety of industries that plan to invest in its development and application in 2017. Moreover, Deloitte invests in Blockchain startups itself, launches Blockchain incubators and recently founded the Americas Blockchain Lab to explore use cases for Blockchain and develop solutions and proofs of concept that can be integrated for real-world scenarios. The application of Blockchain in financial services provision is the first that comes to mind, because the technology was initially used to underpin cryptocurrencies such as Bitcoin, Ethereum, Ripple, and many others. Cryptocurrencies have shown us that there is an absolutely different way to perform transactions, so things will never be the same. More and more financial enterprises are seeking opportunities to switch to Blockchain, and their developments have recently grown to an avalanche. We should be seeing their multiple real-life experiments bear fruit in the months to come. After all, the benefits of this technology are numerous, such as decentralization, security, reliability, cost efficiency, transparency, immutability, traceability, availability, irrevocability, increased speed of transactions, etc. Most importantly, cryptography ensures better data protection from hackers or fraud. Securing, modernizing, and streamlining cumbersome administrative functions, as compared to manual ledger record-keeping; etc. When banking is concerned, Blockchain could be used for intra- and inter-bank cross-border transfers, corporate payments, and cross-border remittances, and much more. Most importantly, the technology does not need intermediaries, such as costly payment systems, to process transactions. It ensures the increased speed of transaction processing (traditionally, the process can take up to several days, and with the Blockchain transactions are processed much more quickly). Blockchain can also help banks expedite their back-office functions and settlement to make them simpler, more reliable, while saving a tremendous amount of money. Therefore, if fully adopted, it has the potential to bring banks a wide range of benefits, including lower costs, quicker and more accurate processing of payments, fewer errors and exceptions, as well as new opportunities for gaining revenue. As the hype around the Blockchain grows, banks are naturally trying to keep up. Some of them are seeking their own ways to lead the Blockchain race and are investing in Blockchain startups. According to Bloomberg, recently, some of the biggest representatives of the industry, such as Bank of America, Goldman Sachs and Mastercard, have patented some promising Blockchain technologies for themselves. However, it might be difficult for a single bank to find the right way to implement the technology. Therefore, it is critical for banks to build the infrastructure required and group into the open, standardized, and robust global networkto use Blockchain for payment transformation at scale, thus reducing the risk of failure. 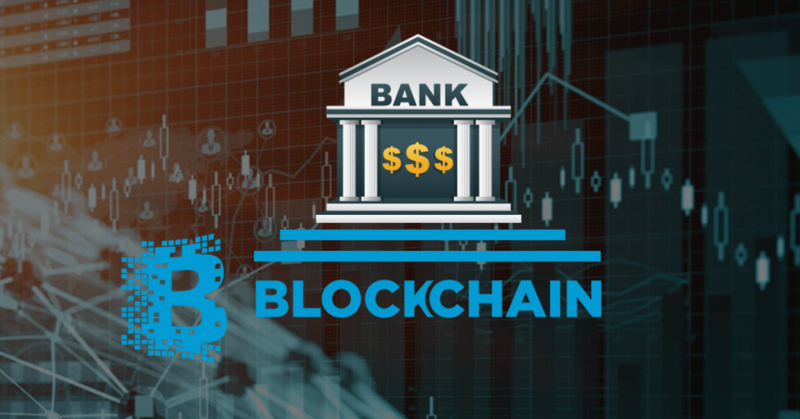 For instance, a large number of major banks have already united into the so-called Global Blockchain Consortium led by R3 CEV, a startup dealing with the research and development of using Blockchain in the financial system. So, no more payment and money transfer systems? Existing payment and money transfer systems are cumbersome and ageing, and they consume a lot of money and time. The decentralized payment technologies based on Blockchain could transform their essence and create a direct and almost instant payment flow connecting payers and payees around the globe without any intermediaries. Avoiding the use of slow and costly centralized payment systems could save billions of dollars. Thus, payment and money transfer systems may cease to exist in the next decade. Blockchain-focused startups are also striving to move the needle by revolutionizing the stock trading business. For example, they aim to streamline, automate, and secure the process of buying, selling, and trading stocks. 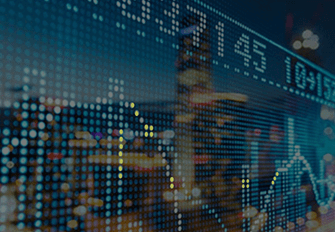 There are already some developments enabling the performance of stock transactions online, and issuing both private and public bonds using Blockchain. Blockchain is a technology that can disrupt the financial sector. However, despite all the efforts made thus far, there is still the need to transform Blockchain’s potential into real products and services generating revenue streams. The key to such a transformation is to collaborate and create a network of banks and non-banks supporting a universal global payment system that could transform the way transactions are executed.